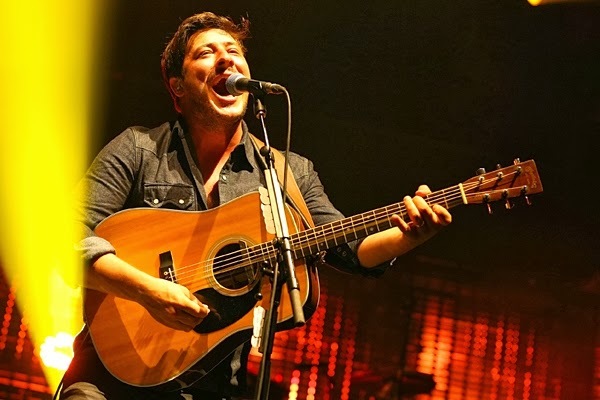 Mumford & Sons played their last tour date supporting Babel last night in Bonner Springs, Kansas, ending a dramatic year that has included several Grammy wins and bassist Ted Dwane’s health scare – and the band revealed to Rolling Stone that they’re ready for a long break. "There won’t be any Mumford & Sons activities for the foreseeable future following Friday’s show," keyboardist Ben Lovett told us earlier this week. It will be the band’s first true down time since breaking through with 2009's Sigh No More. "We’re just going to rest up," Lovett says now. "I don’t think we’ve had actually much time in the process to be with other people and living a life outside of the band. I think that’s what’s in place at the moment, to do very little – especially when it comes to Mumford & Sons."